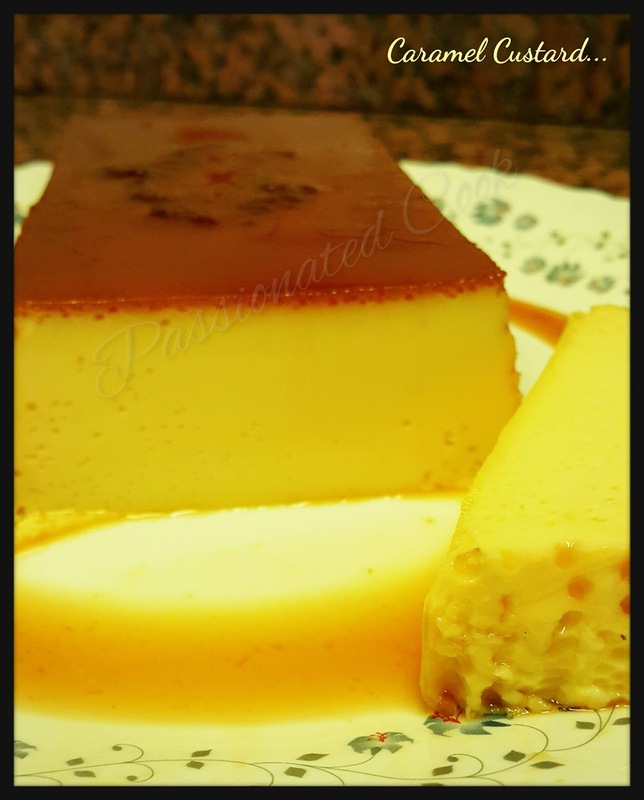 This easy-to-make pudding is popular all over India but made especially well by the western India people and the Anglo-Indians. 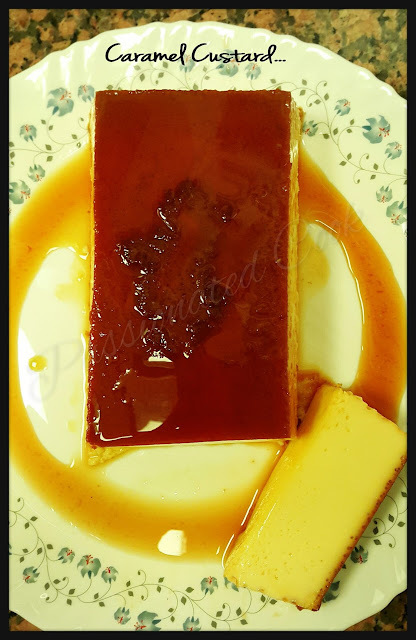 This is originated from the french cuisine where it is well known with the name Flan... It can be steamed in a pressure cooker or baked in the oven. Here i have provided both the methods of cooking. Both the ways the recipe doesn't lose the original taste and texture. In a non stick pan add the sugar for caramel with 2 tsp water and bring to boil and keep stirring till the sugar caramelizes and the syrup is golden in color. Pour the caramel syrup in the bowl which your making the pudding and keep the bowl in freezer for 15 mins. Bring the milk to room temperature. In a bowl add the eggs, sugar and vanilla essence to it and mix well till the sugar has dissolved. Add the milk to the egg mixture and mix well, Strain the mixture so that its smooth. Pour this mixture in the caramel bowl and place it in a larger bowl and fill the bigger bowl halfway with boiling water. Carefully place both bowls in the preheated oven for about 35 mins. 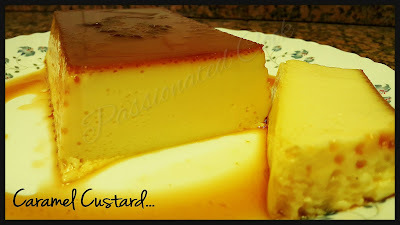 Remove from the oven and let it cool for sometime or keep it in fridge till completely cooled. To unmold, run a knife around rim of cup and invert on a plate. In the pressure cooker add water and let it start boiling, now slowly keep the custard bowl in the cooker and close the cooker lid without whistle. Let this cook for around 30 to 40 mins like this.